Now get Rs 10 Paytm cash on downloading Matchify App on your mobile phone, valid for limited time. Matchify App is offering free Paytm cash Rs 10 on downloading it on a mobile phone. Customers need to follow the procedure given here to get this deal. This is the steal deal for all of you. 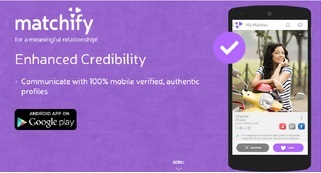 First download matchify mobile app on your cell phone. Login via Facebook > Enter your personal details. Your age should be above 21 on Facebook. Click on “I Have Referral Code” and put referral code given below. Matchify will credit this Paytm cash within seven days. Promo Code: 3B4SXS0 (put this code in “I Have Referral Code” ). No, it never asks for this unless you proceed to any paid service. Hey it takes 7 days, also this is available on other sites, anything exclusive and instant paytm codes for PC users ??? Already 2 codes live now. Use it and save the most.